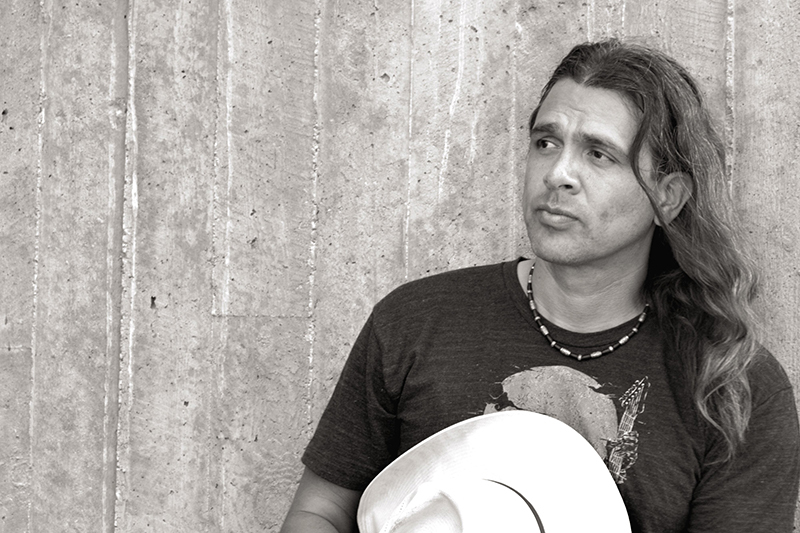 “For a moment our headlights slipped out into the fields, and there was a pale canine-thing standing there at the fence, watching us,” says author Stephen Graham Jones. It was tall; it had these long legs. By the time we got the headlights directed back, it was gone.” Just like that, the werewolf entered his life and, as far as anyone can tell, it hasn’t left. 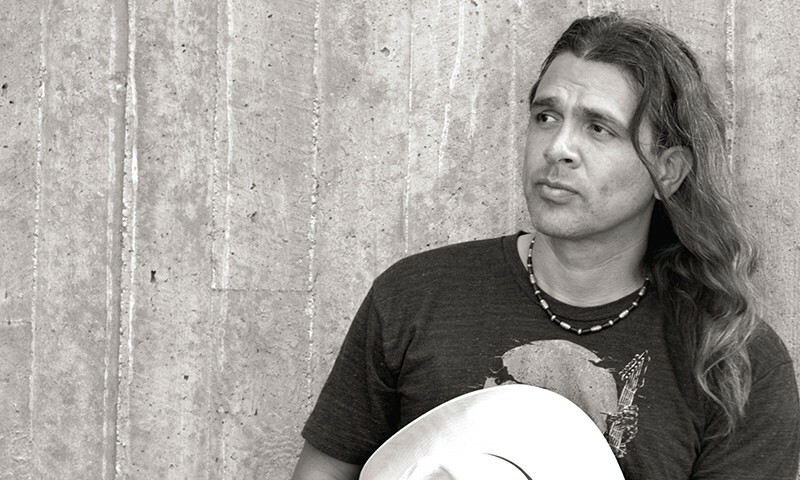 Resident professor at the University of Colorado Boulder, recent visiting professor to the University of Utah, and author of 15 novels, one novella, six short-story collections and somewhere near 220 short stories, Jones is a literary mad scientist, in the most inspiring way. His works respectively run the genre-gambit from fantasy to memoire, romance to mystery, horror to young adult, each work as impressive as it is experimental. With one guiding rule, “Try my hand and pen at everything,” and his commitment “not to ritualize the writing process,” Jones has built a vast and ever expanding bibliography. The one creature Jones has longed to capture, longed to write about in all its glory, is the werewolf. 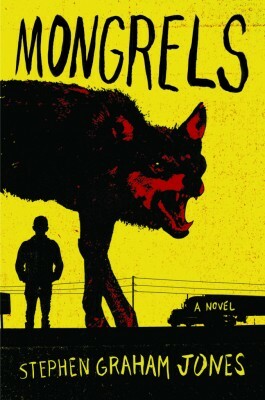 While Jones has written about werewolves several times in the past he hopes that his newest novel, Mongrels, does just that. Set in the back highways and forgotten towns of the Deep South, a young unnamed narrator, his bleary-eyed grandpa, brash Uncle Darren, and overly cautious Aunt Libby, are moving town to town every couple of weeks, working odd jobs, scraping to get by. “Mongrels is about a kid, on the run, making his family up as he goes, like Lilo & Stitch kinda stuff,” says Jones. “And for me that was kinda autobiographical until I grew up… The family in this novel [was] my family.” Certainly the families must have some similarities, but our narrator’s family also howls at the moon, can’t touch silver and prefers ketchup on their raw rabbit meat. “I was never able to transform into a werewolf,” says Jones, “but what I can do is change the definition of werewolf; I can cast my family as werewolves.” Mongrels is about being the misfit in a pack of misfits, it’s about finding home wherever you are, it’s about belonging despite obvious and subtle differences. Ultimately, says Jones, “It’s not about being a werewolf on the outside, but being a werewolf on the inside” that counts. Familial connections aside, Jones’ love for werewolves as characters and creatures began in childhood. “The first werewolves I encountered, that I remember, are from [1981’s] The Howling,” says Jones. “They totally corrupted me or inspired me—however you want to look at it.” Corruption or inspiration in mind, Jones went on to engage every werewolf film and book he could get his hands on, like 1941’s The Wolf Man, 1981’s An American Werewolf in London and 2000’s Ginger Snaps, along with Robert McCammon’s The Wolf’s Hour, Marvel’s Werewolf by Night and Carrie Vaughn’s Kitty and the Midnight Hour. Jones even went so far as to try his hand at becoming a werewolf. “I would drink from a wolf’s paw print, drink downstream from a wolf, roll in the sand under a full moon; I tried all the tricks.” The lure of the werewolf, if we think about it, is obvious. It is a creature of appetite and fulfillment, driven by desires alone, bold in the face of disheartening odds and capable of astonishing feats. It houses the best of man’s and dog’s respective abilities and, perhaps most importantly, it is basically indestructible (aside from a stray silver bullet). Yet it is also the monster with the messiest history. If, like me, you find yourself deeply interested by monster lore and the occult, then there is no need for me to explain the varied rules and history of the werewolf. If, on the other hand, you are only vaguely familiar with the werewolf, you should know almost each and every werewolf—from movies, stories, myths—functions differently in some way, whether that be its ability to transform with the moon or at any given time, its susceptibility to silver and wolf’s bane, its level of memory overlap between human and wolf forms, or how the person came to be a werewolf, by infection, birth or curse. The werewolf has suffered from innumerable and often conflicting interpretations, and a general lack of a “biblical” text (like Bram Stoker’s Dracula was for vampires). “[Werewolves] are the guard-dogs, sled-pullers; they are the weapon you send out into the field to kill your enemies,” says Jones. “[And it’s because] none of them get their deep history or their own desires and regrets.” They are, for better or worse, “the blue collar monster”—not as cold and sleek as the vampire, not as mystic or apocalyptic as the zombie, and more ontologically recognizable than the ghost. In order to shape a more complete werewolf, Jones had kept a list of do’s and don’ts: “[I]f I ever tell a [comprehensive] werewolf story, my werewolves will be like this,” says Jones. “And it really came down to them making sense as animals.” Which is to say that, in other interpretations, the werewolf has functioned well outside of even the excusable laws of nature. “A lot of werewolves I read about don’t subscribe to conservation of mass, so a 150 lb person will become a 350 lb werewolf, and I can’t figure out where those extra 200 lbs come from,” says Jones. “I like the idea of [transformation that] the moon brings to the werewolf, but the moon actually having physical properties that compel the transformation never made sense to me.” As an examination of the moon’s transformative role with the werewolf, Jones says, “[I]f moonlight is that potent, would a half moon be half as potent and a quarter moon a quarter as potent?” Yet one trope that Jones is willing to subscribe to is the werewolf’s susceptibility to silver, but even this must make sense: the silver acts as an infecting agent, giving the werewolves a blood infection that isn’t easily managed. “In my world the werewolf makes as much biological sense as I can make it. It makes them more scary if you think they could be real,” says Jones.